Versailles, Kentucky — February 7, 2018 — Every year for more than 50 years, the General Aviation Awards program and the Federal Aviation Administration (FAA) have recognized aviation professionals for their contributions to general aviation in the fields of flight instruction, aviation maintenance/avionics, and safety. The FAA will present individual awards to each National Honoree in July during EAA AirVenture 2018 in Oshkosh, Wisconsin, and their names will be added to the large perpetual plaque located in the lobby of the EAA AirVenture Museum. Also included in the prize packages for each National Honoree is an all-expenses-paid trip to Oshkosh to attend the awards presentation and other special GA Awards activities. EDITOR’S NOTE: Click on any of the headshots below for high-resolution images. If you trim the information about these honorees for copyfitting purposes, please retain the recipients’ email addresses so your readers may congratulate them. Thank you! Daniel Peter Christman of Las Vegas, Nevada has been named the 2018 National Certificated Flight Instructor of the Year. As a young kid growing up in northern Indiana, Dan always knew he wanted to be a pilot. His father was in the Air Force Reserves and would regularly take Dan to the base to see the planes. When he was 11 his parents bribed him, saying that if he made the honor roll they would get him some flying lessons. It worked, and he has been hooked ever since. Dan soloed on his 16th birthday and received his Private Pilot certificate a year later at age 17. Since then, he’s earned the following certificates: Air Transport Pilot multiengine land, Commercial Pilot single engine land and sea, instrument helicopter and glider, Flight Instructor single and multiengine, instrument airplane, helicopter, instrument helicopter and glider, Ground Instructor advanced and instrument, Flight Engineer turbojet, and Remote Pilot small UAS. Dan’s day job is as a Lieutenant Colonel in the USAF—where he’s known as “Taz”—presently serving as Deputy Commander of the Persistent Attack and Reconnaissance Operations Center at Creech AFB, as well as a military instructor/evaluator pilot. His military flight experience includes the Northrop T-38A/C Talon jet trainer, Rockwell B-1B Lancer bomber, and General Atomics MQ-9 Reaper remotely-piloted aircraft (RPA). Teaching flying is clearly Dan’s passion. In addition to his full-time duties with the Air Force, Dan averages 25-30 hours of flight instruction a month and another 10-15 hours of ground training per week. He has been an active flight instructor either full or part-time for over 19 years with more than 5,000 hours of dual instruction given in a diverse array of aircraft. Dan’s experience and teaching style make him a highly sought-after instructor. As a part-time instructor with Airwork Las Vegas, he currently has six full-time and four part-time flight students plus five ground school students. He currently has a two-month waiting list for any new prospective students. As Airwork’s chief flight instructor, he’s responsible for managing 8 instructors and 25 students. Dan authored and instructed a 6-week Private Pilot and Instrument ground school for both Airplane and Helicopter’s through UNLV’s continuing education program. He was instrumental in writing, producing, and instructing an ATP Flight/Ground School for Sin City Flying Club which produced over 60 ATP certifications during the last two years. Dan created the first aerobatic/upset recovery training program in the region utilizing Decathlon and Yak-52 aircraft. 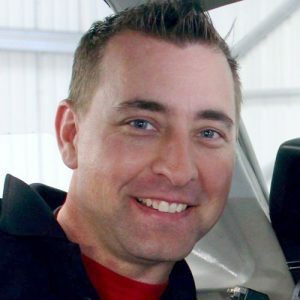 He is an experienced Technically Advanced Aircraft (TAA) instructor specializing in Avidyne, Garmin, Aspen and Honeywell glass cockpits. He created and recorded over 55 hours of video content for Helicopter Online Ground School (HOGS) Instrument Rating course. Dan is also a contributing instructor for a weekly free live streaming helicopter safety and education course available on YouTube the HOGS website. C. William Pancake, Jr. of Keyser, West Virginia has been named the 2018 Aviation Technician of the Year. Bill’s aviation career has spanned 62 years. By age 12, he knew that he wanted to fly. He would ride his bike to the Keyser Airport, where several local attorneys who were pilots saw Bill was trustworthy and possessed great mechanical skills, and became his mentors, taking him flying whenever they could. Bill soloed on his 16th birthday in 1956. His instructor was Forrest Miller owner and operator of Keyser Airport. When the airport closed, Bill continued his flying 20 miles away at the Cumberland airport in Mineral Country, West Virginia, where he also got a summer job doing dope and fabric work. In the fall, he found another job closer to home at Baker’s Airpark and Aeronca Sales and Service in Burlington, West Virginia. In 1957, at age 17, Bill passed his Private Pilot written test with a score of 100%, and later went on to earn certificates as Commercial Pilot, Instrument, Multiengine, Flight Instructor, Airframe and Powerplant Mechanic (A&P), and Inspection Authorization (IA). Bill’s lifelong passion for repairing and restoring small vintage airplanes (mostly Aeroncas) began at Baker Airpark. Bill continued to work there until 1962, gaining an encyclopedic knowledge that made him one of the most sought-after Aeronca experts in the country. 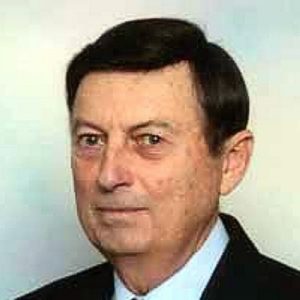 In 1960, Bill began working for West Virginia Pulp and Paper Company (Westvaco) as an electronics technician, and remained with the company for 42 years until his retirement in 2002. Despite his employment at Westvaco, Bill never lost his passion for airplane restoration and engine work. So, in 1973, Bill decided to open his own restoration shop: Pancake Aviation. Word soon spread that Bill was back in the airplane business, and what started out to be a sideline grew into a successful enterprise. Today, Bill spends much of his time is helping aircraft owners and mechanics. Most days, he responds to 10 or 15 phone calls and dozens of emails from all over the world. Airmen from all over the world—Russia, Chile, Brazil, Canada, and many of the 50 states—have traveled to West Virginia to meet Bill and visit his shop. During his career, Bill built or restored 13 EAA AirVenture award-winning vintage airplanes. His first award-winner was a 1949 Aeronca 11CC owned by a longtime friend that took the Best Aeronca Chief award at Oshkosh 1978. Bill restored the same aircraft again in 1998 and it took honors again at Oshkosh that year. Other Oshkosh award winners restored by Bill include a 1951 Aeronca Sedan (1980), Bill’s own IFR-equipped 1946 Aeronca 7AC Champ N1390E (1981), a 1927 Waco 10 with an OX-5 engine (1981), a 1946 Aeronca 7AC (1983), a 1927 Pitcairn PA4 Fleetwing (1991), a 1946 Sweizer glider (1998), a 1955 Champion 7EC (2000), a 1946 Aeronca 7AC (2003), a 1946 Aeronca 7AC (2007), Bill’s own 1946 Aeronca Champ NC1890E (2008), and a 1970 Bellanca Citabria (2015). In 2006, Bill received the FAA’s two highest awards—the Charles Taylor Master Mechanic Award and the Wright Brothers Master Pilot Award—respectively given for being an aircraft mechanic and a pilot for 50 years without any infractions, violations, or accidents. At the time Bill received these awards, he was one of only 40 U.S. airmen to have received both awards, and the only West Virginian to do so. In 2008, Bill was inducted into the EAA Vintage Hall of Fame at Oshkosh. In 2010, Bill and his wife Saundra started working on creating a West Virginia Aviation Hall of Fame when they discovered that the state was one of only 14 that didn’t have one. Four years later, in 2014, the Hall of Fame became a reality, and Bill was among the first group of inductees, along with Gen. Chuck Yeager, astronaut Jon McBride, and other notable West Virginian airmen. Bill has been a member of AOPA since 1970 and of EAA since 1976. He has presented technical forums at Oshkosh for the past 33 years, and presented forums for both the Baltimore and Washington DC FSDOs. Bill serves as an EAA technical counselor and flight advisor. He has written for or been featured in Air and Space Magazine, EAA Sport Aviation, Vintage Aircraft, and the National Aeronca Association Magazine. Although Bill is best known for his restorations of Aeronca airplanes and Continental engines, he has also maintained or older Pipers, Cessnas (including the Airmaster), Wacos, Pitcarins, Commonwealth Skyrangers, Mooneys, Maules, Ercoupes, Taylorcrafts, Sweitzer gliders, Messerschmitt 108s, Republic Seabees, Stinsons, Staggerwing Beeches, Stearmans, Rearwin Cloudesters, and Bellancas, and worked on engines including Jacobs, Warners, Wrights, Pratt and Whitneys, Curtiss OX-5s, Lycomings, and Franklins. Bill has received FAA approval of five Supplementary Type Certificates (STCs) for modifications to vintage aircraft to make them safer and easier to maintain, including a starter system to eliminate the need for hand propping, and an improved method for attaching fabric to structures. Catherine Elizabeth Cavagnaro of Sewanee, Tennessee has been named the 2018 National FAA Safety Team Representative of the Year. Dr. Cavagnaro is a mathematician by training, having received her B.S. in mathematics at Santa Clara University in 1987, and her Ph.D. in mathematics at the University of Illinois in 1995. She serves as Professor of Mathematics and formerly as Chair of the Mathematics Department at the University of the South. In that capacity, she has developed and implemented courses in such areas as aerodynamics, differential equations and mathematical modeling. Aviation provides a treasure trove of real-world examples for her mathematics courses. 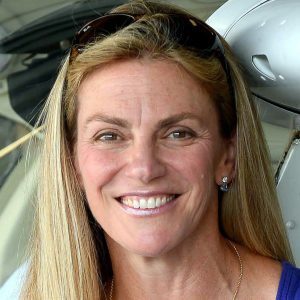 Catherine also owns and operates the Ace Aerobatic School in Sewanee, Tennessee, where she has become widely known as an expert on spin training, recovery and avoidance. She makes her own videos that help pilots understand the complex aerodynamics of spins and unusual attitudes and her presentations have drawn rave reviews. Catherine has filmed a 60-turn spin in her Cessna Aerobat to show that the recovery is the same after three turns. During 2004-2008, Professor Cavagnaro served as a test pilot, spin demonstration pilot, researcher, and visiting professor of aviation systems at the University of Tennessee Space Institute. While there, she served on the icing team that modeled the longitudinal stability characteristics of NASA’s Twin Otter in various icing configurations, and configured the variable-stability Navion to duplicate these characteristics. She is an Airline Transport Pilot single-engine land, a Commercial Pilot multiengine land, single-engine sea and glider, and a Flight Instructor single- and multiengine and instrument. She serves as the lead representative of the FAA Safety Team for the Nashville FSDO, and was honored as 2017 FAASTeam Representative of the Year for the FAA’s Central Region. She also serves the Nashville FSDO as a Designated Pilot Examiner.